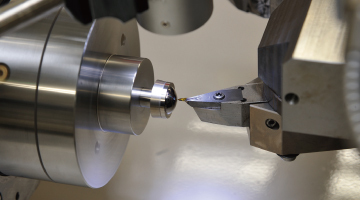 Seikoh Giken contributes to customers’ product development and productivity enhancements through industry-leading mold technology and precision machining technology. Since its founding in 1972, Seikoh Giken has in its business operations consistently pursued the highest level of precision manufacturing. This basic approach will continue and will not change also in the future. We stand close by its customers in order to capture and respond to customer feedback while assisting customers in transforming their ideals into reality. Along with ever smaller and thinner digital home appliances, components tend to become more complicated and micro-sized. This miniaturization requires a yet higher level of accuracy in the machining of molds used to form components, as well as metal parts. In order to respond to the demanding requests of customers, Seikoh Giken has been proactively introducing an array of the latest high precision measuring instruments, specifically 3D measurement bench (Carl Zeiss CARAT ultra) equipment. 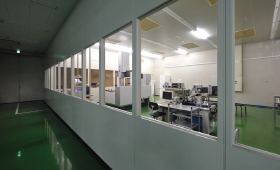 Furthermore, quality control systems in line with the international standard ISO 9001 have been adding to the trust that Seikoh Giken enjoys among its customers. Molds used for injection molding complete open-and-close cycles at the rate of once every several seconds, day in and day out, and therefore require regular maintenance and replacement of consumable components. Seikoh Giken has established service bases not only in Japan but also in Taiwan, USA, and Germany, to ensure readily available service capable of meeting the needs of customers around the world. Our service staff regularly visits to customers to identify and fulfill maintenance needs in a timely manner and to better understand customer requirements. These insights are communicated to technical staff as inputs for mold improvements and for new mold development. 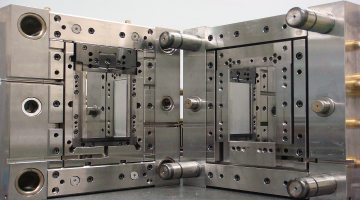 Seikoh Giken manufactures wide variety of precision molds using integrated mold manufacturing arrangements spanning the width from material machining and hardening to polishing and assembly. Utilizing technologies such as low temperature molding, thin and flat molding, and nano level molding, we strive to offer molds that provide optimal production efficiency. 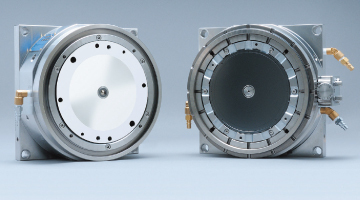 Moreover, for molds in current use at customers Seikoh Giken offers solutions for enhancing individual parts, with dramatic gains in production efficiency. Molds for CD-R and DVD production is a field where Seikoh Giken is far ahead of all other mold manufacturers, not just in the high quality of manufacture such as transferability, double refraction, and warping, but also in every other aspect including mold repeatability, durability, and shorter molding cycles. Based on these merits, Seikoh Giken has established its solid position as the world’s leading brand. In 2008, Seikoh Giken came to market with molds for Blu-ray disk production. Utilizing our expertise from DVD production resulted in further quality enhancements as well as industry-leading short molding cycles, with products capable of accommodating both single and dual layer disks.